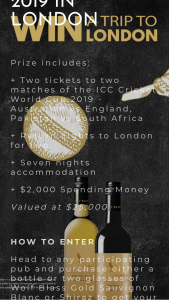 Jim Barry Wines are offering a luxury holiday for you and a friend! 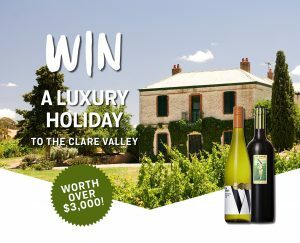 You can win a trip to the Clare Valley when you buy any Jim Barry Wines product from a Bottlemart store. Information on how to enter and prizes form part of these terms and conditions. Submission of an entry is deemed acceptance of these terms and conditions. 1.The promotion will be conducted in participating off-premise Bottlemartlicensed outlets (“Participating Outlets”). Entry into and continued participation in this Promotion is subject always to the Participating Outlets liquor licence serving policy. Theseterms and conditions apply to each Participating Outlet except where context indicates otherwise. 2.Entry is only open to Australian residents aged 18 years or over. 3.Employees of Liquor Marketing Group, their agents, contractors, consultants and their immediate families (including de facto spouses) or any other persons assisting with the competition are not eligible to enter. 4.The Promoter, in its absolute discretion, reserves the right to verify the validity of all entries and to disqualify any entrant who tampers with the entry process, including but not limited to, anyone who submits an entry that is not in accordance with these Terms and Conditions of Entry. 5.The Promoter is Liquor Marketing Group Ltd (ABN 22 001 440 320) of The Binary Centre, Building 1, Level 5, 3 Richardson Place, North Ryde NSW 2113 (Promoter). 6.To enter entrants must, during the Promotional Period (as defined below):a. Purchase in a single transaction 1 or more bottles of Jim BarryWines from a Participating Outlet (“Eligible Purchase”) and retain the store receipt for the Eligible Purchase;b. Visitwww.bottlemart.com.au/jim-barry-clare-valleyorwww.sipnsave.com.au/jim-barry-clare-valley, follow the prompts to the competition entry page,input all requested details, including providing the entrants full name, postcode of residence,currentand valid email address and contact telephone numberandanswer the promotional question: “In 25 words or less, tell us why you would like to win a luxury holiday to the Clare Valley.” Submit the completed entry form online. 7.Entrants must uploadthe original purchase receipt(s) as proof of purchase for each Eligible Purchase for all entries submitted. Receipts must clearly specify the Participating Outlet where the Eligible Purchase was made and that the Eligible Purchase was made during the Promotional Period but prior to entry. Failure to attach the proof of purchase for all entries when requested may, in the absolute discretion of the Promoter, result in the invalidation of all of an entrants entries and forfeiture of any right to a prize. 8.The promotion commences on Wednesday 30/01/20199am AEDT and will close on Tuesday 12/02/2019at 11.59pm AEDT (“Promotional Period”). The judgingwill take place at Liquor Marketing Group Ltd (ABN 22 001 440 320) of The Binary Centre, Building 1, Level 5, 3 Richardson Place, North Ryde NSW 2113 on Tuesday 26thFebruary, 2019. 9.The Promoter shall not be liable for any loss or damage whatsoever which is suffered (including but not limited to indirect or consequential loss) or for personal injury which is suffered or sustained, as a result of taking any of the prizes, except for any liability which cannot be excluded by law. 10.Prize is not transferrable. No correspondencewill be entered into. 11.The winner may be contacted by phone, email, posted on the Bottlemart Facebook and/or the Bottlemart website. 12.Multiple entries permitted, subject to the following: (a)one bottle equates to one entry with a maximum sixentriesper day; (b) each entry must be submitted separately and in accordance with the entry requirements. Maximum one prize in total. 14.The Winner and their travelling companion must travel at the same time, depart from the same capital city and are responsible for: transport from their residence to their nearest capital city for flight departure; and costs associated with redeeming the prize, including expenses with respect to food and beveragesandtravel insurance. 15.Prize is valid until 30thNovember 2019. 16.Total prize pool value is $3200.00. 17.The winnerwill be notified by phone and in writing by email within 2 weeks of the draw. 18.The Promoter reserves the right to verify the validity of entries and entrants (including an entrant’s identity and age) and to disqualify any entrant who submits an entry that is not in accordance with these terms and conditions or who tampers with the entry process. Failure by the Promoter to enforce any of its rights at any stage does not constitute a waiver of those rights. 19.If there is a dispute as to the identity of an entrant, the Promoter reserves the right, in its sole discretion, to determine the identity of the entrant. 20.Entries will be deemed accepted at the time of receipt by the Promoter. 21.Entries received will be considered final by the Promoter. Incomplete and indecipherable entries will be deemed invalid. Any incorrect details submitted may render the corresponding entry invalid. 22.The Promoters decision is final in all matters relating to this promotion and no correspondence will be entered into. 23.Subject to the unclaimed prize draw clause, if for any reason whatsoever a prize winner does not redeem the Prize by the reasonable time stipulated by the Promoter, then the Prize will be forfeitedby the prize winner and cash will not be awarded in lieu. 24.If the Prize is unavailable, the Promoter, in its discretion, reserves the right to substitute the Prize with an alternative prize to the equal value and/or specification, unless to do so would be prohibited by law and subject to any written directions from a regulatory authority. 25.If for any reason whatsoever beyond the reasonable control of the Promoter, the promotion is not capable of being conducted as reasonably anticipated, the Promoter reserves the right, in its sole discretion, unless to do so would be prohibited by law, to (a) disqualify any entrant; and/or (b) subject to any written directions from a regulatory authority, to cancel, suspend, modify, terminate or cancel the promotion. 26.If required, an unclaimed prize draw may take place on 5thApril2019at the same time and place as the original draw, subject to any directions from a regulatory authority. Winners will be notified by email. supplied by the Promoter. The entrant agrees that, in the event they are the winner, the entrant will participate in all reasonable promotional activities in relation to the promotion as requested by the Promoter and its agents. 28.Nothing in these terms and conditions limits, excludes or modifies or purports to limit, exclude or modify any statutory consumer guarantees or any implied condition or warranty the exclusion of which from these terms and conditions would contravene any statute or cause any part of these terms and conditions to be void (Non-Excludable Guarantees). Subject to the limitations in the preceding sentence, the Promoter excludes from these terms and conditions all conditions, warranties and terms implied by statute, general law or custom. Except for liability in relation to a Non Excludable Guarantee, the Promoter (including its officers, employees and agents) excludes all liability whether arising in tort (including without limitation negligence), contract or otherwise, for any personal injury or any other loss or damage (including without limitation loss of opportunity or loss of profits); whether direct, indirect, special or consequential, arising in any way out of the Promotion, including, without limitation, the following: (a) any technical difficulties or equipment malfunction (whether or not under the Promoters control); (b) any theft, unauthorised access or third party interference; (c) any entry or claim that is late, lost, altered, damaged or misdirected (whether or not after their receipt by the Promoter) due to any reason beyond the reasonable control of the Promoter; (d) any tax implications; (e) any variation in reward value to that stated in these terms and conditions; (f) any tax liability incurred bya successful claimant or entrant and/or (g) the Prize or use of the Prize. 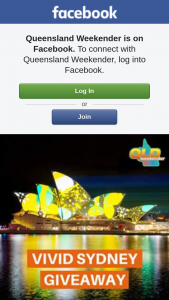 29.The Promoter collects personal information in order to conduct the Promotion and may, for this purpose, disclose such information to third parties, including, but not limited to, prize suppliers and for any purpose required under Australian lottery legislation or any other regulatory authority. Entry is conditional on providing this information. Unless otherwise advised, the Promoter may also use the information for promotional, marketing and publicity purposes. Entrants should direct any request to access, update or correct information to the Promoters Privacy Officer, at: www.jimbarry.com or 08 8842 2261. All entries become the property of the Promoter. 30.By participating in the Promotion, an entrant also acknowledges that a further primary purpose for collection of the entrant’s personal information by the Promoter is to enable the Promoter to use the information to assist the Promoter in improving goods and services and to contact the entrant in the future with information on special offers or to provide the entrant with marketing materials via any medium including mail, telephone and commercial electronic messages (SMS (Short Message Service), MMS (Multimedia Message Service), IM (Instant Messaging) and email) or any other form of electronic, emerging, digital or conventional communications channel whether existing now or in the future. 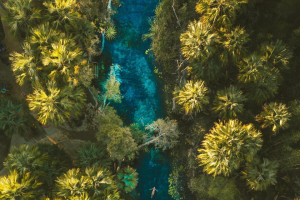 The Promoter may share information with its Australian related companies or promotional partners who may contact the entrant with special offers in this way. By entering the Promotion, an entrant acknowledges and agrees that the Promoter may use the entrant’s personal information in the manner set out in this condition. 31.The Promoter encourages consumers to enjoy alcohol in moderation. Legal aged consumers are advised to consider the recommendations of the Australian Guidelines to Reduce Health Risks from Drinking Alcohol. Participation in the promotion is subject to relevant liquor legislation in each applicable State or Territory, including responsible service of alcohol. Consumers are also encouraged to visit the Australian Governments information site for alcohol at www.alcohol.gov.au. 32.The Promoter is Liquor Marketing Group Ltd (ABN 22 001 440 320) of The Binary Centre, Building 1, Level 5, 3 Richardson Place, North Ryde NSW 2113 (Promoter).